The Phocaz Group is at the Mid America CADD Conference this week in Overland Park, Kansas. This area is a haven for engineers. Black & Veatch, Burns & McDonnell, and HNTB rank in the top 20 firms on this year’s Engineering News-Recond top 500 list. This area is also the home of the Cyber Pirates, a robotics team from Belton High School. 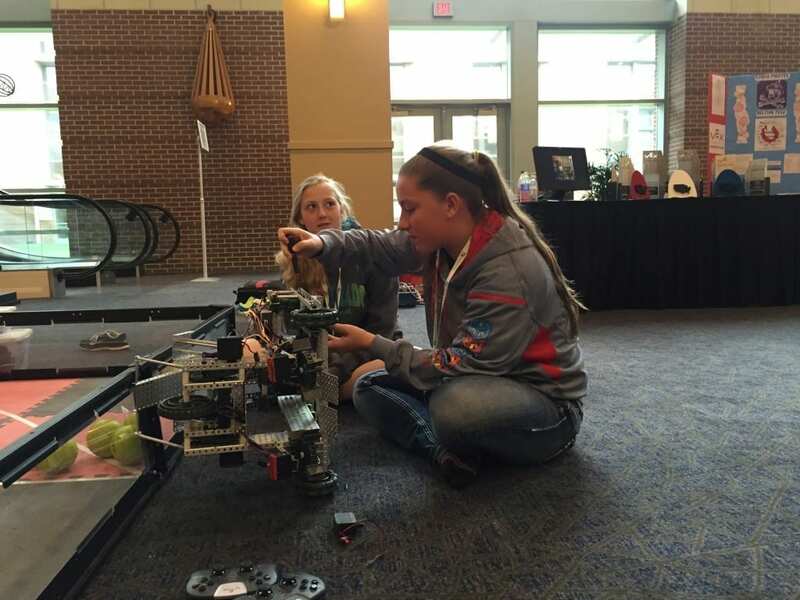 Team member repairs a robot. The Cyber Pirates are made up of 24 students. They have three teacher/mentors and over 10 parents help the kids reach their goals. But these young women and men are making great strides in their goal to learn about STEM, and specifically engineering careers. This year the team designed a game using robots that collect and shoot balls into baskets. Design plans began in April but these prototypes were built from scratch in the last two weeks. 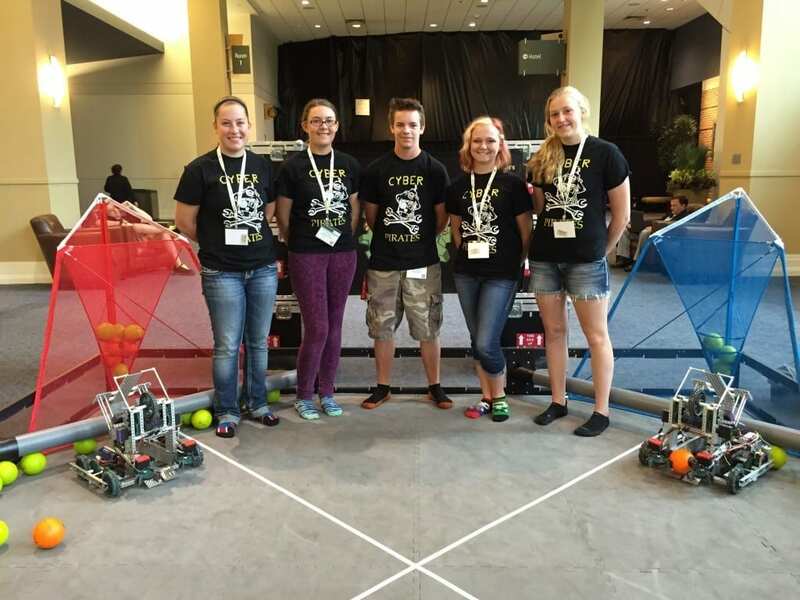 The robots are controlled remotely through a software program developed by the students. 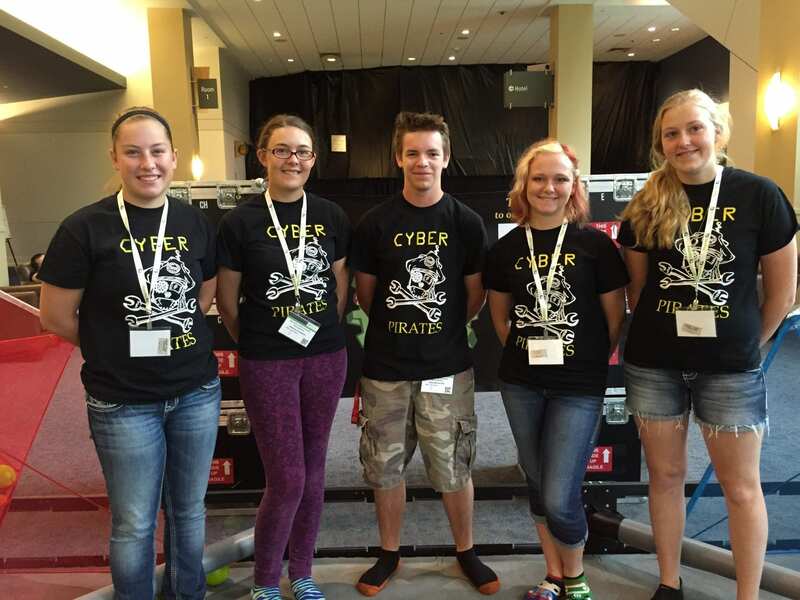 Five team members from Cyber Pirates (L to R): Allie Floyd, Shannon Coupland, Owen McConville, Alani Waugh, and Kaitlyn DeKam. Not pictured, Advisor Adam Arnold. Among the team members you will find software developers, project managers, and marketers. They are learning to work as a team and how to communicate ideas cross their small enterprise. All the team members I spoke to are going to pursue careers in STEM fields. These smart young people are in it to win it. 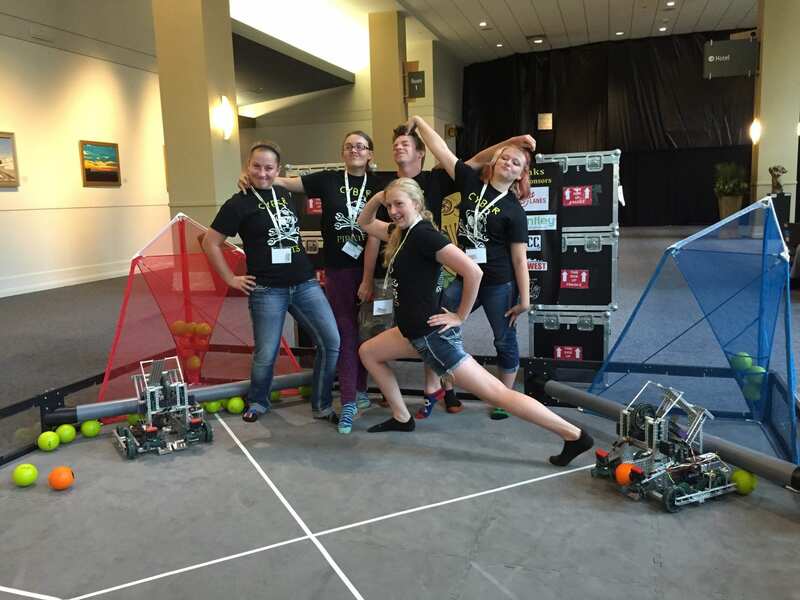 They have competed in the VEX Worlds Competition for the past two years and won multiple awards including VEX Worlds SCIENCE Division Semifinalists. Last year they were champions at nine tournaments.